Signal Sportswear's story starts in the rice fields of central Taiwan. 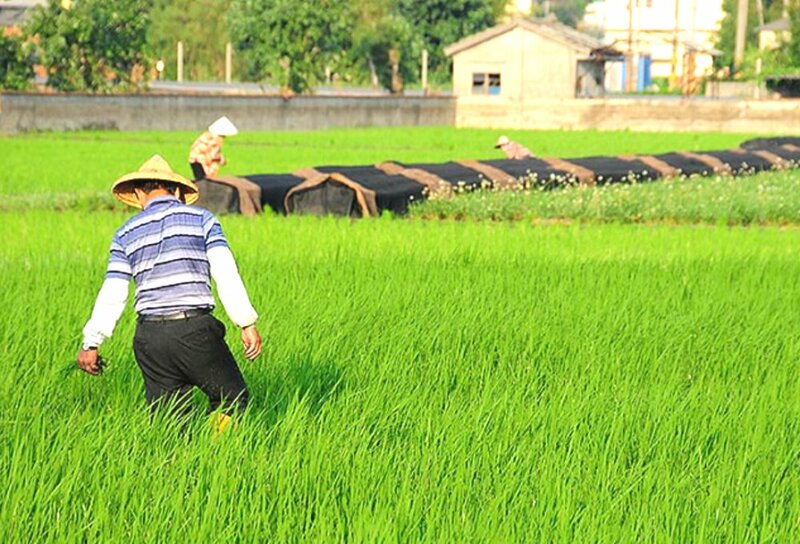 Our founder, Mr. Edward Chiang grew up on a rice farm in the small town of Douliu. And as roots absorb nutrients from the soil to grow, people absorb the lessons from their experiences to develop. The principles Edward learned on the farm, the values of hard work, honesty, efficiency, attention to detail, and persistence, helped him develop the apparel manufacturing company that exists today. After graduating from university in 1973, Edward made his way to Taipei and began working in an apparel manufacturing company. Edward wanted to be in Sales or Merchandising, but his boss, wanting him to start from the ground up, started him off in Quality Control. After his training was complete, the boss gave Edward an old second hand 50 cc scooter and tasked him with doing quality control inspections in the factories spread around Taipei County. The scooter would often break down; it had a top speed of about 30km/hour, and he had to get off and push it up hills. In addition to that, despite growing up with five sisters, Edward was terribly shy, especially around women. And it was mostly women in charge of the factories Edward needed to visit. For his very first visit, Edward ending up riding around in the parking lot for two hours before working up the courage to go in. Despite the challenges, Edward persevered. While his colleagues snuck off to watch movies during work hours, Edward persisted. And shirking his responsibilities wasn't the only temptation. The factories would often offer bribes to him to pass off bad quality, but Edward refused. Edward's boss eventually recognized his reliability and trustworthiness. One day he pulled Edward aside and told him that he would start a profit sharing arrangement with him. Edward worked harder than ever and the company continued to grow. When it came time to distribute profits, however, the boss always claimed that the company wasn't making money. So in 1979, Edward decided to start his own company: Signal Sportswear. In the early days of Signal, we produced mainly for customers in South America, including Umbro Brazil and the Brazilian sportswear brand, Penalty (now a publicly listed company). In the 1980s, Signal also began working with European customers, such as German football brand Saller, and Danish sportswear company Active Sportswear (parent company of brands such as H2O and Kilmanock). In the 1990s, Signal capitalized on the initial opening of China as an apparel manufacturing center and opened it's first branch office in Shanghai and entered into a joint venture with our factory partner in Qingdao. Our Fuzhou factory was added in the early 2000s. Customers during this time included Italian brands such as Sergio Tachini and Fila, Slazenger from the UK and Erima from Germany. And with an eye to the future of apparel manufacturing , Signal opened a factory in Bangladesh in 2013. Edward built Signal on time-tested principles and category expertise from his work in Quality Control. As the business grew, the number of staff increased as well. He knew from fist hand experience what it was like to be treated unfairly so he made a commitment to treat his staff with the fairness and respect that all people deserve. Some of Signal's staff have stayed with us for more than 25 years, and the average tenure of key personnel is more than 10 years. We've built a strong team of highly experienced staff, which allows Signal to thrive in the highly competitive and fragmented apparel industry. We can deal with complex styles and coordinate across a supply chain spread across more than six countries. We can warn you of problems before they arise, such as designs and fabric combinations that tend to lead to color migration issues. We also pride ourselves on customer service, providing you with a dedicated account manager who will reply to your e-mails within 24 hours of receipt and actively communicate any challenges as they occur--not two weeks after the fact. We can inspect your Taiwan produced fabric before it's been shipped out and we've developed the experience to deliver more than 90% of our orders on time, even in the busy peak season. As the Signal story continues, we hope you can join with us to experience the warm feeling of satisfaction that comes from knowing your apparel production is in capable hands. Grow your business with us!